Officials announced Monday that the Navy will fork over an additional $34 million to the Huntington Ingalls Newport News shipyard to keep mothballing the world’s first nuclear carrier and prepare its hull for towing elsewhere. In 2013, the Navy awarded a $745 million contract to the shipyard to drain the flattop’s reactor fuel and prep the warship for permanent deactivation, but it hasn’t budged since. That’s because the Navy has been squabbling with the Nuclear Regulatory Commission over which one will control the dismantling. 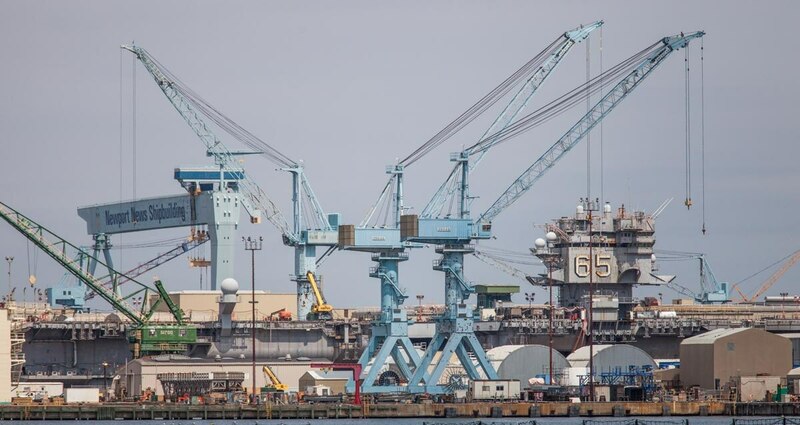 Since 1990, the Navy’s Puget Sound facility in Bremerton, Washington, has dismantled and disposed of more than 130 reactors while sending its non-nuclear vessels to industry to break apart and recycle, including ex-carriers like the Constellation and Ranger. But the government-owned yard is reeling from a glut of vessels the fleet needs to be repaired now. If the Big E gets towed there, officials estimate workers won’t start dismantling it until 2034 and it would take another decade and between $1 billion and $1.5 billion to complete the job. But the Enterprise wasn’t officially decommissioned until early 2017 because Huntington Ingalls workers had to remove the nuclear fuel. Hundreds of former crew members of the aircraft carrier Enterprise turn out for a ceremony that officially removes the ship from the Navy fleet. GAO pointed out that it’s important that the Navy figure out how to scrap the Enterprise because the Nimitz-class supercarriers are getting old, too.